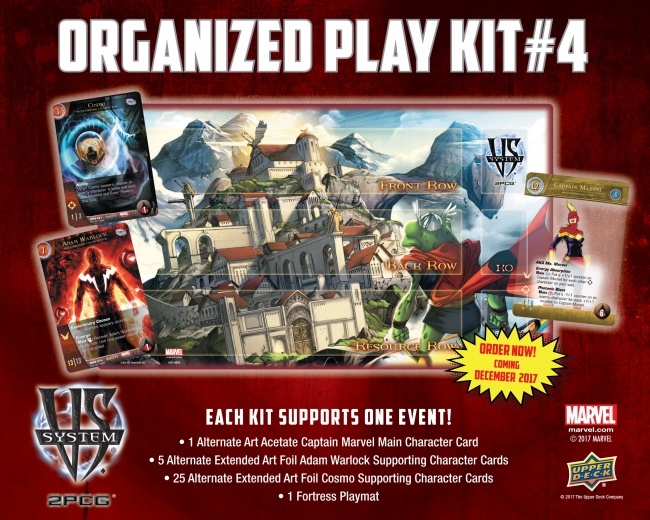 Upper Deck will release new Marvel: Legendary Deck Building Game and VS System organized play kits this month. 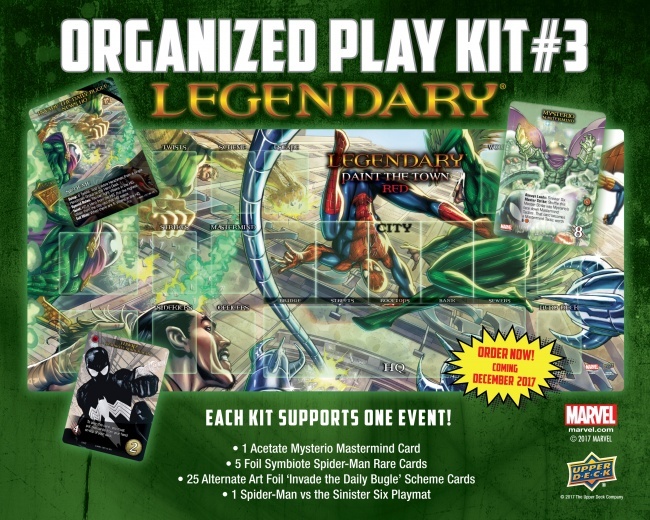 Marvel: Legendary Deck Building Game - Organized Play Kit #3 will include 1 acetate Mysterio Mastermind card, 5 foil Symbiote Spider-Man cards, and 25 alternate art foil �Invade the Daily Bugle� Scheme cards, all for use with the Marvel: Legendary Deck Building Game, as well as a playmat depicting a battle between Spider-Man and the Sinister Six. Meanwhile, VS System - Organized Play Kit #4 comes with cards for the VS System: an acetate Captain Marvel Main Character card, 5 alternate art foil Adam Warlock cards, 25 alternate art foil Cosmo cards, and a Fortress playmat. Upper Deck began offering its Organized Play Kits earlier this year (see �Upper Deck Launching OP Kits for �Marvel: Legendary��).